Apple is throwing US $500 million behind its upcoming Arcade gaming subscription service, according to a report by Financial Times. The service could be a big payoff for Apple; devs that release games via Arcade will be bound to a period of exclusivity before they can release their game on other non-mobile platforms. That means Arcade may be the only place gamers can access certain Indie titles, some of which may provide unique and fun experiences. Announced at its recent March 25th even, Apple’s new Arcade is the company’s latest effort to reshape the mobile gaming industry. Arcade will allow users to pay a monthly subscription fee to get access to exclusive iOS games with none of the freemium fluff that tends to plague smartphone games. Apple thinks there’s a lot of promise in the service, so much so that the company is reportedly throwing half a billion dollars behind the project. Reported by the Financial Times, Apple has supposedly invested US $500 million into Arcade, which is set to launch in later this year, likely in Autumn. 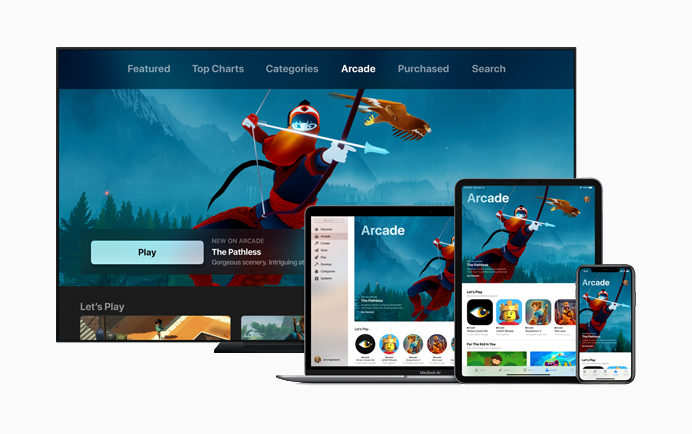 Arcade, in tandem with the company’s TV+ subscription service, is Apple’s latest venture to shake up well-established industries. Arcade may have some weight behind it. The subscription service will offer exclusive access to a myriad of Indie titles that will only be available on Arcade-compatible devices. In exchange for releasing their titles through Arcade, game devs will be unable to launch their titles through any other distribution platform, including heavy hitters like the Google Play Store and Steam. After a time (currently described as a vague “few months”), a game developer could release the Arcade title on a non-smartphone platform (e.g., PC, PS4, or Xbox One). That may be a tempting offer for some Indie developers trying to carve out a niche in an increasingly crowded market space. Console launches have long been prohibitively expensive for smaller Indie developers, and 2018 alone saw the release of over 9000 games on Steam. It is exceedingly difficult for a small developer to make a splash in the gaming scene; for every Undertale and Stardew Valley, there’s a Win That War! and Balthazar’s Dream that fall into obscurity. Arcade could give smaller Indie developers access to a much smaller and targeted market, which in turn could produce some unique titles that gamers are willing to pay a monthly fee for. Arcade is certainly a gamble for Apple, but like iTunes, the iOS App Store, and other services before it, Arcade could be a huge payoff for the Cupertino colossus and could represent another shift in an established market. Mobile gaming has been incredibly lucrative for Google and Apple; a subscription service that offers exclusive content could be a shakeup that nets Apple decisive dominance in the smartphone gaming arena. After all, massive market shifts are how Apple made a name for itself in the first place.